Thank you to Natierra for providing products for me to review. All thoughts are my own. I read an article recently that created a microgeneration that exists between Generation X and Millenials. They call it "Xennials" and those born between 1977-83 are the select few that are a member of this microgeneration. We do not appreciate a lot of the pop culture of Generation X and while we love and adapt to technology we remember life without it and see the value in a balance. Not many can say that the internet was invented when they were in high school. I also experienced this weird place within generations when I started having children of my own. I waited until I was 30 to have my first child, yet most new moms I'm surrounded by on a day to day basis are in their mid-twenties. Even just a few years difference in our ages was very eye-opening. I still don't know if it's our generation, the age we had our first babies or just a difference in personality but we clearly were going to parent very differently. I still remember, when I was pregnant with my son, being chastised at lunch because I was having a slice of pizza and blueberries that were clearly not organic. Fast forward three years and we still rarely buy organic, we grow some of our own produce but groceries are expensive enough. We are conscientious about germs due to my neutropenia but our guiding light for parenting (and shopping) rest on several decisions, two are: How will it help us? How will it help others? That is why we love products from Natierra, their superfoods help us and our purchase help others. Natierra was created by Thierry Ollivier with the idea of combining life's adventures with organic superfoods and the desire to change the world. Each bag of Natierra superfoods purchased goes to provide one meal for a child in Haiti! My first experience of Natierra consisted of Himalania dark chocolate chia seeds, goji berries, organic cacao powder and a cheche. Historically, a cheche is a cloth used by travelers and nomads to protect themselves from harsh elements and for Natierra it is a symbol that unites nature with those supporting the project. 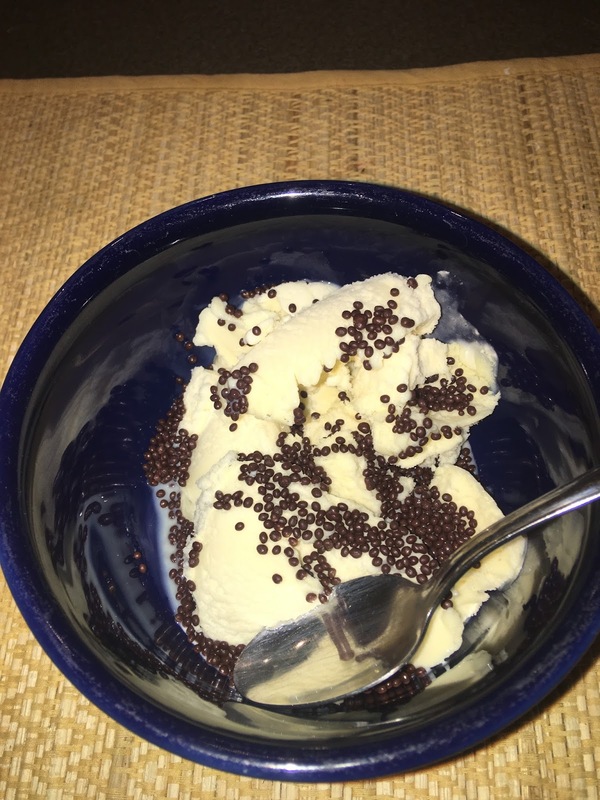 I have been using chia seeds in oatmeals and smoothies for over a year now. 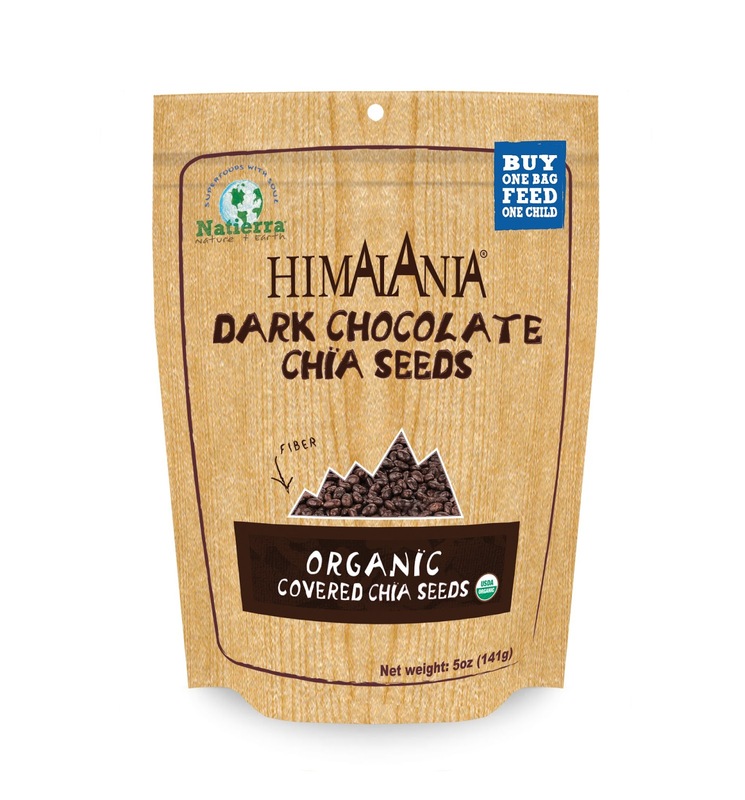 Chia seeds are a great source of Omega-3 fatty acids, protein, and fiber. Until Natierra I had no idea that these amazing seeds were being covered in my favorite chocolate. They are amazing on vanilla yogurt, frozen or regular. 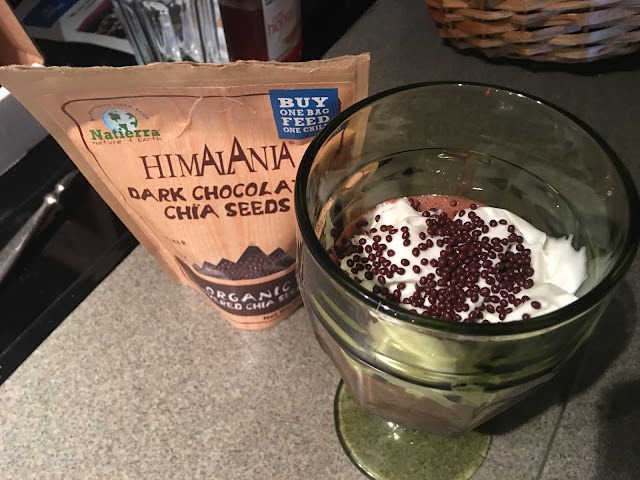 Chia seeds on top of a smoothie made with organic cacao. Another one of my favorites is the organic cacao powder. My entire family loves blending cacao powder with a frozen banana, honey, and a splash of milk. It makes a fantastic and healthy chocolate banana smoothie. The goji berries are great added to any type of snack mix or eaten alone. My three year old says that goji berries remind him of fruit snacks with the texture of dried apples. Natierra Superfoods would make an excellent gift for those that are health-conscious or those that enjoy helping take care of others. 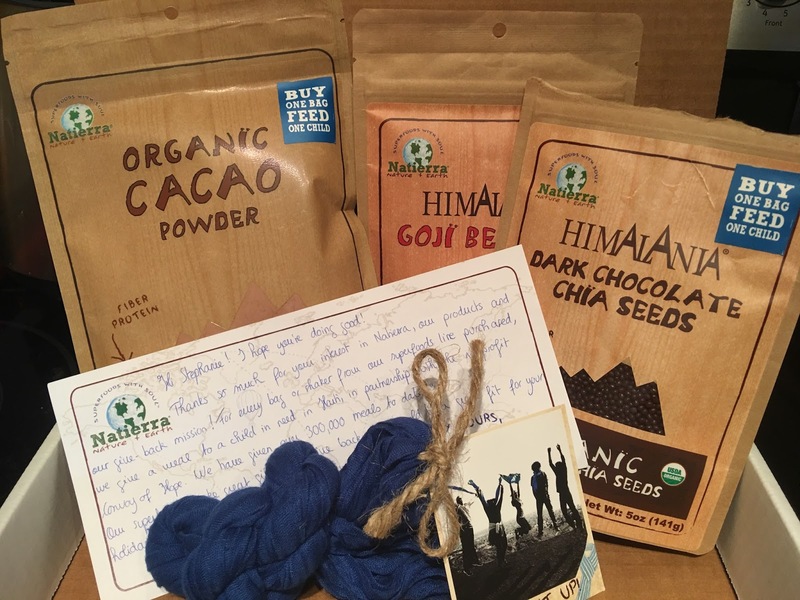 You can purchase your own bag of superfoods and feed a child in need. Items can be purchased on Amazon or at your local Whole Foods, Safeway, Ralphs, or Meijer. Connect with Natierra on Facebook and Instagram! You can also donate to the Feed a Soul Project. Special thanks to Natierra for providing these amazing products!